tommyontour: #OurGP is now online! help design future GP digital services. #OurGP is now online! help design future GP digital services. 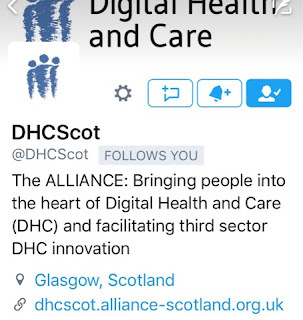 “Over the past months, Health and Social Care Alliance Scotland (Chair of UK Group) have been working with people and professionals on ‘Our GP’, a pioneering Scottish Government funded project that aims to ‘co-design’ future digital GP services. This has led to the creation of three innovative citizen-led ideas for new digital GP services, described in a brief explainer video (click below). his will help identify the most valued ideas and redesign these innovative digital tools, which aim to improve people’s experience with GP practices.